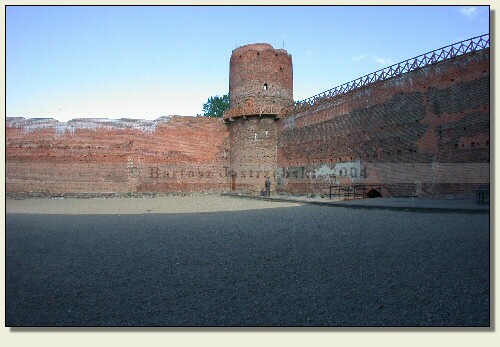 Ciechanów is one of the bigger towns of the Masovian Province, so there shouldn’t be any problems with finding it. Entering the town down the road no 615 from Mława you need to turn left to 17 Stycznia St. (it is the road no 60 towards Maków Mazowiecki). Then you need to drive straight down the main road all the time and just before the market square turn left to Wodna St. After covering a few hundred meters, the castle will be visible on the right side of the road. Most probably the castle came into being in the 20s of the XVth cent. on duke of Masovia Janusz I Starszy’s initiative. In 1467 the town was consumed by the fire. Surely the same fate befell the stronghold, because in the next years its extension was carried out, which records from 1488 from Janusz II’s accounting book indicate. 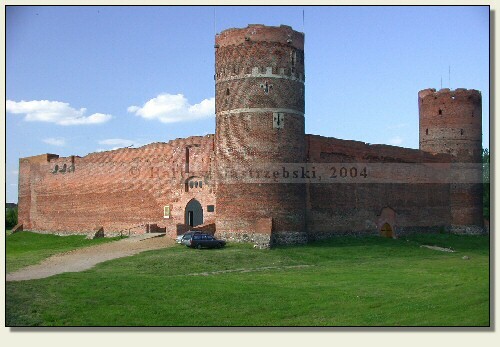 In 1526 Masovia was annexed to the Crown and the castle became the queen Bona’s property, and after 1539 was rebuilt again. The documents from the turn of the XVIth and the XVIIth cent. indicate that the castle was diminishing slowly in its importance. In the end it was destroyed by the Swedes and after ‘the Deluge’ never came back to the former splendor and function. Till the end of the XVIIIth cent. the building served as the court and archive. Eventually in 1795 the Prussians disassembled the duke’s palace standing by the north curtain of the castle, leaving behind only walls and towers, which you can admire till now.